Every month brings new ways to save at some of the more than 48,000 restaurants on OpenTable. Check out February 2019 restaurant weeks and enjoy discounted dining in a city near you, whether it’s with your partner or for a fun meal for the whole family. * San Antonio Restaurant Week arrives in Texas this month with $25 brunches, $15 lunches, and $35 + $45 dinners through February 1. Make a reservation. * Dine Out Vancouver Festival is your chance to feast at the city’s finest eateries for less with $20, $30 + $40 three-course dinners through February 3. Make a reservation. * Devour Indy invites you to do just that with special three-course menus through February 3. Make a reservation. * Long Island Restaurant Week has meals for a steal with $29.95 three-course dinners east of New York City through February 3. Make a reservation. * Howard County Restaurant Week has $15-$45 lunches and dinners for Maryland foodies through February 4. Make a reservation. * Chicago Restaurant Week come to Chi-Town with $24 brunches and lunches and $36 + $48 dinners through February 7. Make a reservation. * Toronto Winterlicious takes the chill off the season with $23, $28 + $33 lunches and $33, $43 + $53 dinners through February 7. Make a reservation. * Hudson Restaurant Week is on the horizon in northern New Jersey with $17-$25 lunches and $25-$40 dinners through February 8. Make a reservation. * NYC Restaurant Week heats up the five boroughs with $26 lunches + brunches at and $42 dinners at restaurants like The Dutch (pictured) through February 8. Make a reservation. * Dine Around Victoria is a delicious reason to stay in town and enjoy $30, $40 + $50 three-course dinners in the capital of British Columbia through February 10. Make a reservation. * Galveston Restaurant Week brings $10-$20 lunches and $20-$35 dinners to this island city in Texas through February 10. Make a reservation. * Mpls.St. Paul Magazine Restaurant Week has solid savings in the Twin Cities with $10, $15,$20 + $25 lunches and $15, $20, $25, $30 + $35 dinners, February 17-22. Make a reservation. * Taste of Burlington comes to the Toronto area later this month with $15 + $20 lunches and $30, $35 + $40 dinners, February 18-March 10. Make a reservation. * Santa Barbara Restaurant Week promises to delight with $25 lunches and $40 dinners, February 22-March 3. Make a reservation. 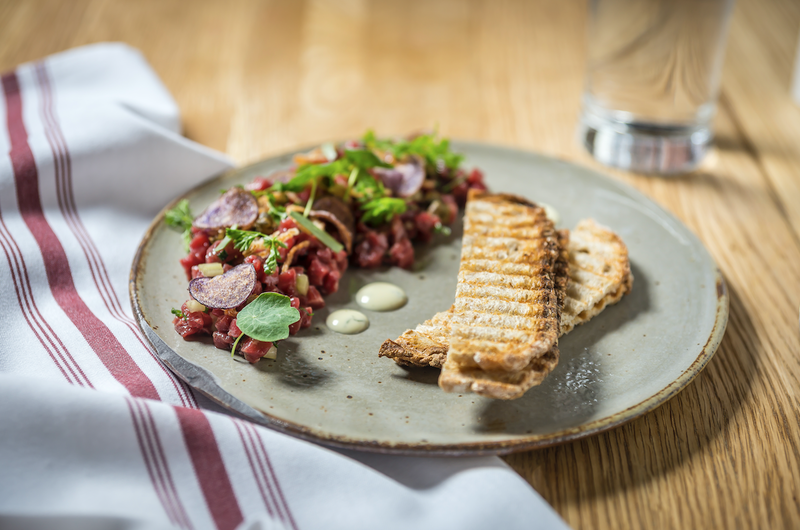 * Chicago Northwest Restaurant Week invites the foodie in you to try something new with $10-$40 lunches and $20-$50 dinners, February 22-March 3. Make a reservation. Check back for the launch of additional February 2019 restaurant weeks in other cities, and share your experiences with us here in the comments or over on Facebook, Instagram, Pinterest, or Twitter. Also, remember to snap + share your #dishpics with us on Instagram for a chance to win in our weekly giveaway.